Looking for ways to enrich your classroom? IU faculty members and instructors have access to a diverse range of technologies and resources designed to enhance teaching and learning. By combining innovative practices with existing and emerging technologies, IU instructors can develop approaches ideal for a diverse range of students. IU's learning management system (LMS), Canvas, is a digital environment where instructors and students can manage course materials and communication. Canvas integrates with tools such as Kaltura and VoiceThread to provide the IU community with environments ideal for collaboration, learning, creativity, and administration. 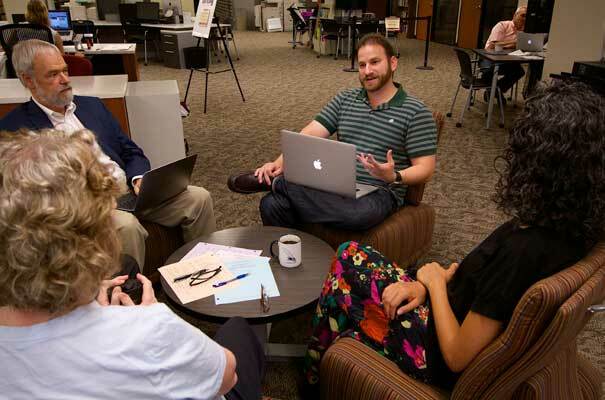 The campus centers for teaching and learning provide IU faculty and instructors with consulting for pedagogical and instructional technologies. Each teaching and learning center is a partnership between UITS Learning Technologies and relevant campus units. 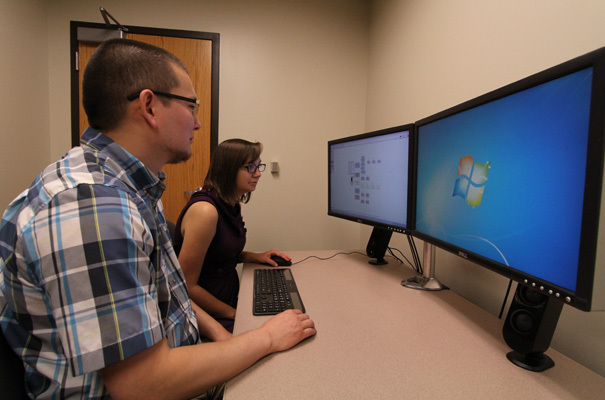 The UITS Assistive Technology and Accessibility Centers (ATAC) provide specialized learning services for students with disabilities and the faculty and staff who support them. The ATAC offers a wide range of assistive media technologies, as well as comprehensive evaluations and consultations. IU Online makes learning possible wherever and whenever is best for you, with hundreds of online classes and more than 100 online academic programs. Almost every general purpose classroom at IU Bloomington and IUPUI features permanently installed technology, such as multimedia equipment or display devices, to assist instructors with teaching and learning. All of that hardware is maintained by Classroom Technology Services—a unit that provides training, support, and solutions for classroom technologies. CTS also offers a range of mobile technology equipment for instructional use on a first-come, first-served basis. To find out which technologies are available in different classrooms, the CTS also provides searchable databases for both campuses. UITS Collaboration Technologies helps instructors educate students across the country, and collaborate with peers around the world with services such as videoconferencing, web conferencing, and streaming.